Does something not seem right? Who is in your elderly loved ones’ lives, besides you? Never underestimate those people’s influence, whether they are family members, outside caregivers you have engaged, or just someone whom your elder has befriended. Unfortunately, their influence can be negative, and even devastating, as there are many who will take advantage of an elder’s trust to steal money and other assets. If there is cognitive impairment, the exploitation becomes easier. As a loving and caring family member, you are the first line of defense against exploitation, and it is a duty that cannot be delegated or outsourced! Isolation is the exploiter’s sharpest tool. When you call, does the caregiver answer, and tell you the elder is sleeping, or for some other reason can’t come to the phone? Does the caregiver find ways to make sure you aren’t able to speak with your elder one-on-one; for example, managing to be present every time you visit, and perhaps answering questions you have asked your loved one directly? The caregiver might be suggesting to your elder that you are no longer attentive because you don’t call. And being present during visits can be the caregiver’s way of inhibiting a conversation that otherwise might reveal undue influence. Look at the relationship…if the caregiver is between you and your loved one in any way, something isn’t right. Talk to the caregiver about his or her own family, and interests, and encourage conversation about your elder’s well-being. Listen for inconsistencies and evasion. If you ever get to a point where you are uncomfortable with the caregiver for any reason, terminate the relationship. You don’t need to explain or apologize. Protecting your elder outweighs all other considerations. Is money disappearing? Warning signs include checks written to people you don’t know, gifts to the caregiver, an unusual number of cash withdrawals, use of an ATM when the person has not used one in the past, lack of amenities the elder could afford, inappropriate or questionable investments or financial instruments, and hesitancy to answer questions about financial transactions. If a caregiver is dependent on the elder for support (sometimes the case with a family caregiver), the risk of exploitation often increases. Don’t let it happen. If you have durable power of attorney, you can receive duplicate copies of your elder’s bank statements and bills, or view them online. Having power of attorney also might make your elder more willing to answer questions about financial transactions that don’t seem right to you. If you live close to your elder, consider having his/her mail go to a post office box, and pick up the mail yourself. Otherwise, an exploiter might intercept the mail…including bank statements. Sometimes exploiters have changed the address for bank and credit card statements, so the exploiter receives the statements and the elder and his/her family never see overdrafts, unauthorized credit card expenditures, etc. Is your elder’s personality or appearance deteriorating? 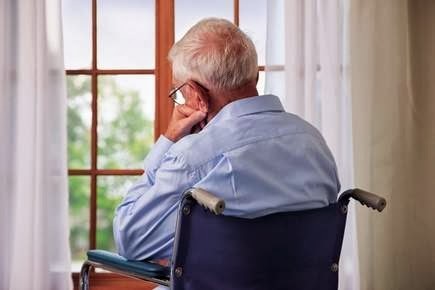 If an elder is exploited by a caregiver, another family member or a new acquaintance, you might be able to detect changes in the elder’s personality… nervousness, suspicion, withdrawal from normal activities, hesitancy to speak or make eye contact, for example. He or she also might exhibit poor hygiene or evidence of malnutrition. There might be unexplained bruises or other injuries, if he or she is being abused physically. The home might be dirty and unkempt. These are all signs that abuse might be occurring. Put a stop to it. Talk to your elder. Express your concern, in a gentle way, using specific examples of what you have noticed. Remind him or her of your love and support, and ask questions. Don’t be discouraged if your elder doesn’t respond right away. It might take time to undo the damage. Also, don’t depend on the elder’s doctor or other professional to discover evidence of exploitation. Unfortunately, a ‘don’t ask, don’t tell’ mentality exists among many professionals. Unless someone expresses a concern, your loved one’s doctor, banker, financial advisor, attorney who does not specialize in elder law, or other professional is not likely to identify and report abuse. The situation is getting better, with the creation of Financial Abuse Specialist Teams (FAST) in many locations around the country (professionals being trained to spot signs of financial exploitation) but we have a long way to go with that effort. When you suspect abuse has occurred, do not hesitate to confront the suspected abuser. If abuse is not occurring, the caregiver or acquaintance you suspect will be able to explain the situations that concern you, satisfactorily. Remember that you have your local social services department, Adult Protective Services, and law enforcement agencies available to help. You do not have to have an ironclad case before you go to them. Just tell them what you know, and have observed. They are trained to investigate on behalf of you and your elderly loved one. By: William R. Henry, Jr., coauthor, with elder law attorney A. Frank Johns, Jr., of The Crown of Life Society, the first novel devoted to elder exploitation and family caregiving. More information about the book and its authors, and resources to prevent elder exploitation and to support caregivers, are at www.crownoflifesociety.com. Very valuable information, Thank you for writing about this very important issue. So true Sarah. Mr. Henry will be my guest on Twitter for a Tweetchat on Monday, January 6th. Please join us if you can. We will start promptly at 4pmPT/7pmET at #Nurseup.